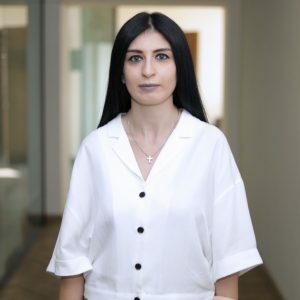 Rozita Aghamalyan holds a BA in translation studies from Yerevan Brusov State University of Languages and Social Sciences, and an MA in Teaching English as a Foreign Language from American University of Armenia. She joined AUA in 2012 as a research team member, course coordinator, and general English instructor at AUA Extension program. Currently she teaches Introduction to the Structure of English, Introduction to Language and Culture, and Freshman Seminar. Rozita’s interests also include contrastive analysis, content-based teaching, and environmental education. Originally from Ohio in the American Midwest, with Anabaptist, Quaker, Scot-Irish and Finnish roots she has her BA in geology from George Washington University. She subsequently trained in film production at New York University and became one of the first, if not the first, women film producers in Washington, D.C. She has combined a professional career in media management, marketing, advertising and public relations with an academic career. Since the early nineties she has worked internationally becoming one of the first Western educators to teach in the former Soviet Union. She has been a media educator in Lithuania, Estonia, Kazakhstan, the Middle East, the Western Pacific, Malaysia and the South Pacific. 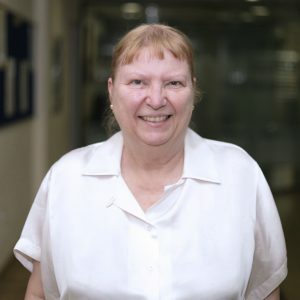 Her American faculty appointments include the University of Guam, the University of Kansas, Chadron State College and Jersey City State College. She holds a master’s degree in film from the University of Southern California Cinema School, USA, and a PhD in Film from the University of Exeter, UK, entitled Genre and Globalization: Working Title Films, the British Romantic Comedy and the Global Film Market, https://core.ac.uk/download/pdf/12826623.pdf. She also has a Graduate Certification in International Marketing from Boston University Brussels and Post Graduate Certification in Higher Education from Middlesex University London. In addition, she develops distance education and conducts diversity training. Outside of work she is a food enthusiast and a romance novel writer. Member, Asian Media Information and Communication Centre (AMIC), European Society for Central Asian Studies (ESCAS), New York Women in Film and Video; News Design Society; Romance Writers of America; Writers Guild of America, East; World Communication Association, (WCA). Shushan Avagyan received her PhD in English Studies from Illinois State University with a specialization in Translation Studies and a Graduate Certificate in Women’s Studies. She has taught comparative literature courses and translation workshops since 2006. Her articles and translations have appeared in numerous publications, including The Review of Contemporary Fiction, Contemporary Women’s Writing, Music & Literature, and Dissidences: Hispanic Journal of Theory and Criticism. She is the translator of Energy of Delusion: A Book on Plot, Bowstring: On the Dissimilarity of the Similar, A Hunt for Optimism and The Hamburg Score by Viktor Shklovsky (Dalkey Archive), Art and Production by Boris Arvatov (Pluto), and I Want To Live: Poems of Shushanik Kurghinian (AIWA). She is the coordinator of the Graduate Certificate in Translation Program at AUA. Melissa Bilal is Assistant Professor of Humanities and Social Sciences at the American University of Armenia. Receiving her PhD in Ethnomusicology from the University of Chicago, she taught at Columbia University, Boğaziçi University, and the University of Chicago. Together with Lerna Ekmekcioglu, she co-edited A Cry for Justice: Five Armenian Feminist Writers from the Ottoman Empire to the Turkish Republic (1862–1933) (in Turkish, 2006) and is now collaborating with her on Feminism in Armenian: An Interpretive Anthology and Digital Archive, a book and digital humanities project focusing on the lives and works of twelve Ottoman-born Armenian activist women writers. Her most recent publications include the article “Lullabies and the Memory of Pain: Armenian Women’s Remembrance of the Past in Turkey” in Dialectical Anthropology (August 2018) and the CD project Voice Signatures: Recordings of Russian Armenian POWs in German Camps, 1916-1918 (Forthcoming 2019). 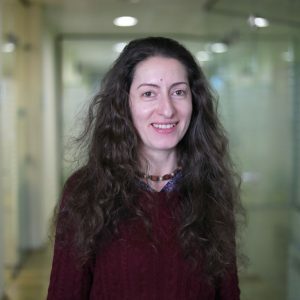 With Ekmekcioglu, Bilal launched the Annual Feminist Armenian Studies Workshop and founded the Feminist Armenian Research Collective (FemArc) in 2017 while she was a visiting scholar of History at MIT. Viken Berberian received his Msc from the London School of Economics and Msc from Columbia University’s Graduate School of Journalism. He teaches persuasive writing, expository writing, business journalism and the graphic novel: comics as literature. His work has appeared in the New York Times, the Financial Times, the Los Angeles Times, the International Herald Tribune, BOMB, Le Monde Diplomatique, The Believer, Inculte (Editions Inculte, France) and the New York Review of Books. 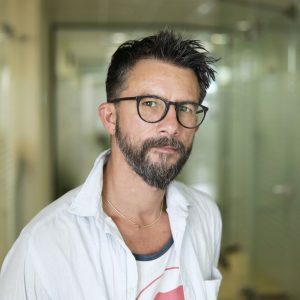 He is the author of the novels, The Cyclist (Simon & Schuster), and Das Kapital: a novel of love & money markets (Simon & Schuster), and the graphic novel, La Structure est Pourrie, Camarade (Editions Actes Sud, France) with Yann Kebbi. Vaagn Gouchtchian has obtained his MaRes from Université de Provence (Aix en Provence, France) in literature and literary theory, his dissertation discussing author-character relations in the novel is underway. Since 2009, Vaagn has been actively contributing to various literary and multimedia projects. Vaagn’s translations from Western Armenian to French of Rouben Zardarian’s and Artashes Haroutiunian’s short stories have received a warm public and professional acclaim, both in Armenia and in France (UEA Press, 2015); Vaagn acted as translator and cultural consultant for the documentary “Tigran” (2014). Currently, he is working on the translation and analysis of Armenian folktales and has been teaching Literature and Culture at AUA since 2015. Christian Garbis earned his Masters of Fine Arts in Creative Writing from Lesley University. He teachers Expository Writing, Persuasive Writing and Technical Writing. His news articles, commentaries, and essays have appeared in Hetq Online, The Armenian Weekly, and Roads and Kingdoms. Christian is the author of two acclaimed blogs, Notes From Hairenik and Footprints Armenia, on which he discusses social and political issues and conveys intimate descriptions of daily life in Armenia. A third blog, The Great Garbanzo, details his culinary adventures. Apart from his prose writing, he has also written a novel, a screenplay, and numerous short stories, and he has made several short experimental films. Christian was born and raised in Greater Boston but now resides in Yerevan, Armenia. He is the father of two beaming young sons and a neurotic Chihuahua. Alex Vartan Gubbins earned a B.A. in African Languages and Literature at University of Wisconsin – Madison and an MFA in Poetry at Northern Michigan University. He teaches Freshman Seminar I and II, as well as American Literature, Introduction to Arabic Language and Culture, and The Art & Practice of Non-fiction. His poetry and poetry translations have appeared in several publications, including The North American Review; And Here: 100 Years of Upper Peninsula Writing, 1917-2017; War, Literature & the Arts; Metamorphoses; and Asymptote. 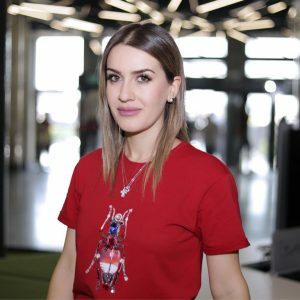 A writer and journalist, Maria has over a decade of experience reporting the news from Armenia and the region. She is the Founding Editor of EVN Report, an English-language news magazine. She was Associate Editor of the Armenian Reporter, Managing Editor at CivilNet, and a regular contributor to a number of Diaspora publications. She teaches Media & Society, Introduction to Journalism, and Research Methods. Eric Grigorian is a photojournalist with almost two decades of experience documenting everything from conflict zones to politics to celebrities to natural disasters. His clients have included Time, Newsweek, NY Times, Boston Globe and numerous other magazines and newspapers in the U.S. and abroad. Eric was the recipient of the World Press Photo award in 2003. 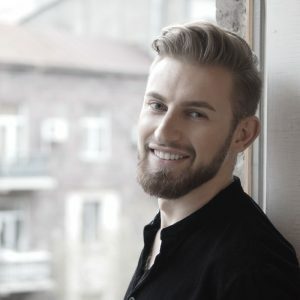 After a long period of living and working in Los Angeles, Eric moved to Yerevan in 2013 where he also dedicates part of his time teaching visual storytelling and photography. He currently teaches Introduction to Photography at AUA. Tatevik Avetisyan joined AUA in 2016. She is a E. Muskie Fellow and holds MA degree in public relations from Ball State University, IN, U.S.A.
Tatevik is the Director of PR Unit at Deem Communications and has been with the company since 2011. She has over 12 years of experience in PR and communications. As an educator and lifelong learner, Tatevik brings professional insights from her multicultural experience with businesses, diplomatic missions as well as international humanitarian organizations. She enjoys teaching, storytelling, traveling and connecting ideas and people to reveal their full potential. 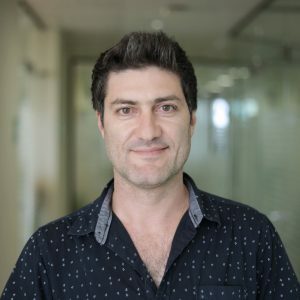 Raffi Meneshian is an adjunct lecturer at the American University of Armenia (AUA), where he teaches marketing, advertising, and professional communication. He holds an MBA (Marketing) and BA (Political Science) from the University of Massachusetts. Raffi owns and operates Pomegranate Music, a record label that produces, promotes, and markets world and classical music worldwide. He is a member of the Recording Academy, where he holds an annual vote for the Grammy Awards. Raffi previously was a contributing writer for Global Rhythm, the largest global music lifestyle magazine in the world. 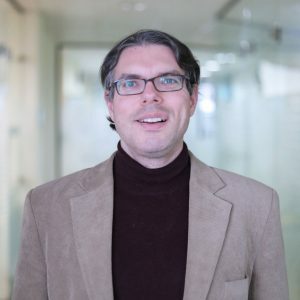 He has worked in the marketing and sales realm within the insurance industry for established companies such as John Hancock, Automobile Association of America (AAA), Hub International, and Insurance Services Office (ISO), as well as a San Francisco-based startup company called ClearCare Online. He was awarded the Boghos Noubar Medal from the Republic of Armenia in 2017. Ruben Malayan (1971) is an award-winning art director and visual artist. Having completed his studies in Yerevan, Armenia, he holds a BA in Painting from Terlemezian State Art College, and a MA in Graphics from the State Institute of Fine Arts. 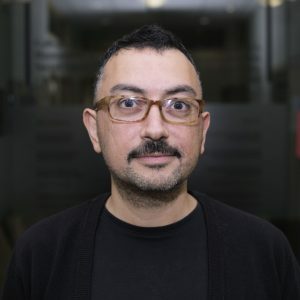 As an art director and visual effects supervisor, Ruben has been working in broadcast and cinema for over ten years, realizing creative projects in Armenia, Israel, The Netherlands, Canada and India. His career in graphic design spans over fifteen years – crossing over into the fields of calligraphy and typography. Presently Ruben is teaching calligraphy at TUMO Center for Creative Technologies (Yerevan, Armenia) as well as typography and drawing at Terlemezian State Art College. Arto Vaun holds an MA in English Literature from the University of Massachusetts-Boston and a PhD in Creative Writing from the University of Huddersfield. He has also attended Harvard University and the University of Glasgow. He joined the E&C faculty in 2014. In 2016 he founded and directs AUA’s Center for Creative Writing (CCW), the first such center in the region. Locomotive, one of the CCW’s major initiatives, is the first non-Armenian literary journal that is edited, published, and exported by Armenia to various bookstores around the world. Vaun’s first book of poetry, Capillarity, was published in 2009 by Carcanet. His poems have appeared in various journals, magazines, and anthologies in the U.S. and U.K. In 2014 he received the Tololyan Prize in Literature and has been interviewed by the BBC, The Boston Globe, WAYO radio in New York and other media outlets. He taught at universities in Boston and Glasgow before coming to AUA, where he teaches Creative Writing, Modernism, World Literature, Modern Poetry, and other courses. His research interests include creative writing, transnational poetics, Modernism, and diaspora studies. Syuzanna Torosyan holds her BA in English and a Second/Foreign Language Teaching from Yerevan Brusov State University of Languages and Social Sciences, and an MA in Teaching English as a Foreign Language from American University of Armenia. She joined AUA in 2011 as a recruitment and student progress coordinator, and a general English instructor at AUA Extension program. Currently she teaches Introduction to the Structure of English, and Freshman Seminar. Her interests lie in the areas of teacher training, program evaluation, and classroom assessment. She has actively been involved in research projects, presented in a number of local and international conferences, and published in a professional journal. Syuzanna is the author of a book on the impact of formative assessment on EFL Learners’ vocabulary enhancement. Zareh was born in Fargo, North Dakota into a family of musicians and grew up in Tehran, London, Frankfurt, Paris and New York, where he attended Professional Children’s School and New York University’s Tisch School of the Arts, majoring in film & television. Over the years he’s pursued his interests in ancient and esoteric cultures, lost histories, and the lives of the forgotten and dispossessed through short and long-form films. His most recent work, many years in the making, is a folk history of the genocide and its aftermath in Soviet Armenia told through the memories of orphans and refugees. Zareh’s courses include Intro to Filmmaking, Filmmaking 2: Writing with Movement, The Language of Film, and Topics in Cinema: Cinema of the Rising Sun. Hourig Attarian has obtained her PhD from the Faculty of Education, McGill University. She is also a core member of the Centre for Oral History and Digital Storytelling (COHDS) at Concordia University in Montreal, Canada. Visual arts-based methodologies are a core facet of her research endeavours. Anchored in the blurred genre of life history and autobiographical inquiry, her work focuses on storying memory and identity through visual and narrative explorations. Her research-creation projects draw together difficult memories and marginalized histories of violence within a framework of public pedagogy. Hourig teaches courses in education and oral history. Rafik Santrosyan received his PhD in Germanic Linguistics from Yerevan State Linguistic University in 2015. 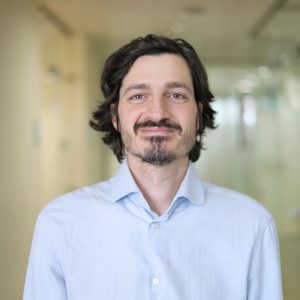 He has served as a lecturer at Yerevan State Linguistic University, American University of Armenia, and as a visiting professor at the Sanford School of Public Policy, University of Duke, USA, and a post-doctoral fellow at City College, International Faculty of the University of Sheffield, Greece. He worked as a research fellow at the University of Fribourg, Switzerland; Center for Women’s and Gender Studies of the University of Paris 8, France; and at the University of Padova, Italy. Santrosyan’s teaching and research interests lie in the fields of gender linguistics, multimodal semiotics, and simultaneous interpreting. His current research examines the interconnectedness of grammatical gender and language-mediated cultural discriminatory practices. Lilianna Edilyan graduated from the Yerevan State Teacher Training Institute of Russian and Foreign Languages (named after V. Brusov), Department of English and Second/Foreign Languages. She continued her studies in Moscow taking “A Two-year Advanced Professional Degree Training” at Morris Torrez Institute of Foreign Languages. 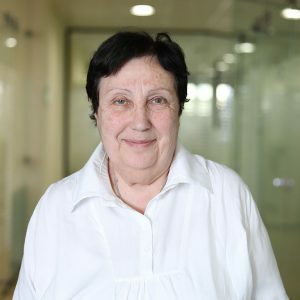 Upon completion she was conferred the title of “Senior Lecturer” and worked at Yerevan State University in the Department of Romance and Germanic Languages. She received her MA in TEFL in 2005. She has presented at international conferences and published in professional journals. She has been working at AUA since 1994. She is the author of an ESP book for students of theology and co-author and editor of the manual “A Practical Course in Written English” (a textbook on the writing course for the students of Romance and Germanic Languages). 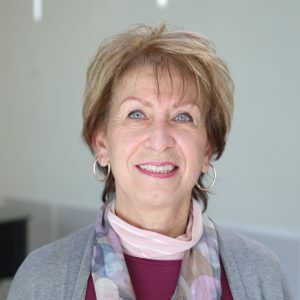 Mimi Zarookian is a career educator of 35+ years holding a BA & MA in English Literature from California State University Northridge, a Clear Life Teaching Credential from the State of California, and a Bilingual Certificate of Competency from the University of La Verne. She has worked with school districts in the greater Los Angeles area in instructional and administrative capacities. She moved to Armenia in 2014 and joined AUA’s faculty teaching in the College of Humanities and Social Sciences and the MA TEFL Program. Mimi proudly serves on the Armenian Educational Foundation Scholarship Committee and is responsible for their annual publication. She is also a board member of Orran NGO. Mimi’s passion for education has made each day of her career a joyful journey.